What’s more, we are located in the heart of some of the most beautiful, enjoyable countryside in America, replete with natural beauty, as well as family attractions, theme parks, world-renowned beaches, and top-notch entertainment venues. We are conveniently located near major airports for easy traveling to and from the area, and are close to Port Tampa Bay, where major cruise lines routinely arrive and depart. Our location, coupled with the on-site amenities we offer, makes us one of the elite retirement communities in the state. Contact one of the friendly Lifestyle Consultants at Cypress Lakes today to learn more about all our community has to offer and schedule a visit. 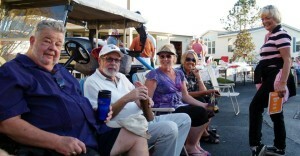 Discover for yourself why so many active adults choose Cypress Lakes over other retirement communities in Central FL.